1. Rope Drop. Yes I know it’s early to most but 9:00 is mid-morning at our house (my kids are usually up by 5:30 – 6:00 at the latest) so it’s a no brainer that we’d head out to the park. 2. Take a Rest. In the middle of the day we go back to wherever we’re staying to take a break. If it’s swimming, napping or just relaxing for a couple of hours, that’s fine. I don’t know anyone who doesn’t need a break from the FL sun and a chance to gain a bit more energy. If we don’t rest during the day, we try to make it an early night. 3. Close the Park. I realize that I just said I like to be there at rope drop. I also said that I like to rest. Even my kids (yes the early risers) love closing the parks down. The feeling changes so much when the sun goes down; it almost feels more magical. The boys love being in the parks at night! 4. See Characters. I’m thrilled that my oldest son loves hunting down characters and getting autographs because I love seeing them. 5. Getting a Popcorn Bucket. I love those adorable little buckets and try to get one on each trip. 6. Meeting Up with Friends. Thanks to Twitter, I don’t think there’s been a time I’ve been at Disney in the past year or so that I haven’t seen someone I know or met a new friend I tweet with just about every day. I love my growing family and friends. 7. Watching Wishes. The last trip we took was the first (and last) we didn’t watch my most favorite fireworks display. Just hearing the music at home makes me tear up. 8. Riding the Monorail. I love hopping on the monorail to explore other parks or resorts. It’s such a fun way to travel! 9. Relax! Disney’s the one place I can go where I don’t really care a whole lot about what’s happening in the real world and I am so thankful for that. 10. Share the Magic. If we’ve got extra fast passes we’re not going to use, we pass them on to other excited families or share extra snacks we brought with us. One thing the boys love is bringing stickers and handing them out to other kids who are scared about meeting a character or having a melt down. 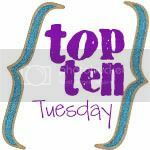 Go visit Oh Amanda to share your Top Ten Tuesday list! I love to do all these things too!!! Love the list. Right now I am debating a last minute 10th anniversary trip with just hubby. Would you believe that we almost never go back to the resort during the day? Thanks to this (and kids that do not sleep in) we never get to stay very late. On my agenda this time – finally see Fantasmic and Wishes. Sun poisoning on my honeymoon made us miss Fantasmic ten years ago. Mmmmm popcorn bucket! I love popcorn with oil and salt…so yum! Have fun! Awesome list!! I don’t think I could narrow mine down to just 10. But my list after my November trip would be very different than it is right now. Right now it is all centered on me me me, after November it will be all about my son!! Beth – If you can swing it, do it!! I’ve never not had fun at Disney 🙂 You totally need a honeymoon redo. Oh Amanda – welcome! 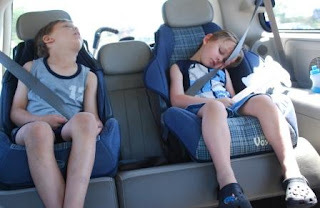 Thanks for hosting such a fun blog hop/link up. Good Girl Gone Green – welcome 🙂 I love popcorn too. So much so that I will ask hubby to drive across the street to the movie theater to get me some. Hi Melissa – 10 was really, really hard. I’ve never been to Disney without kids but maybe someday I’ll take a solo trip.